Lindsay Scott is a Director at Arras People, the programme and project management recruitment specialist in the UK. She’s also founder of the PMO Flashmob and PMO Conference. 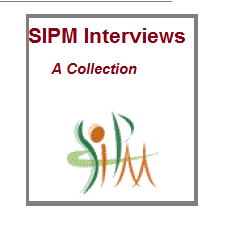 She is PMI’s PM Network career columnist and writes for TwentyEighty Strategy Execution and Project Challenge. 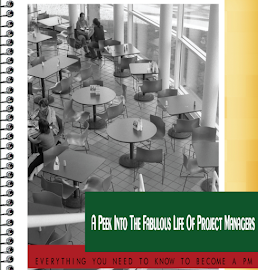 Lindsay is also Co-Editor of the Handbook of People in Project Management. When do you wake up every day? What’s your alarm set to? Unfortunately my alarm goes off about 7.15am each morning, which is not necessarily the time I get up! I’m a real night owl so don’t like early mornings at all. I’ve often wondered if I would be better suited to the night shift but my work relies on being around when most other people are. Any rituals to set the tone for the day in the morning? Oh yes, bad habits too – tea, a cigarette and a look at the Times cryptic crossword. If its summer, sat outside overlooking the garden – or if it’s typical Manchester weather, rain, then its quickly out the door to work. I actually feel most productive mid morning and then later on in the evening so I tend to do different types of work at those times. 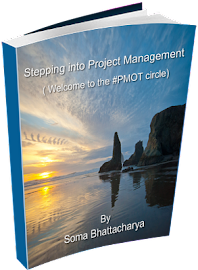 In the morning I do a lot of writing about project management careers for various outlets, the first being the Camel blog. Later in the evening its more about research and reading. I work in different places. We have an office in North Manchester, that’s the main office for Arras People. It’s in a small town, nothing fancy but I have a large desk and lots of in-trays. It looks like chaos but there is a system honestly! I work in London a lot too so there’s time spent working on the train, which I love, two hours of no interruptions because the phone network is so bad. In London I work in an apartment I rent, or grab a desk at the Institute of Directors in London’s Pall Mall (the pink one in Monopoly!). I tend to like working in different places because I’m a firm believer in a change is as good as a rest, especially when you’re trying to be creative in writing articles and suchlike. 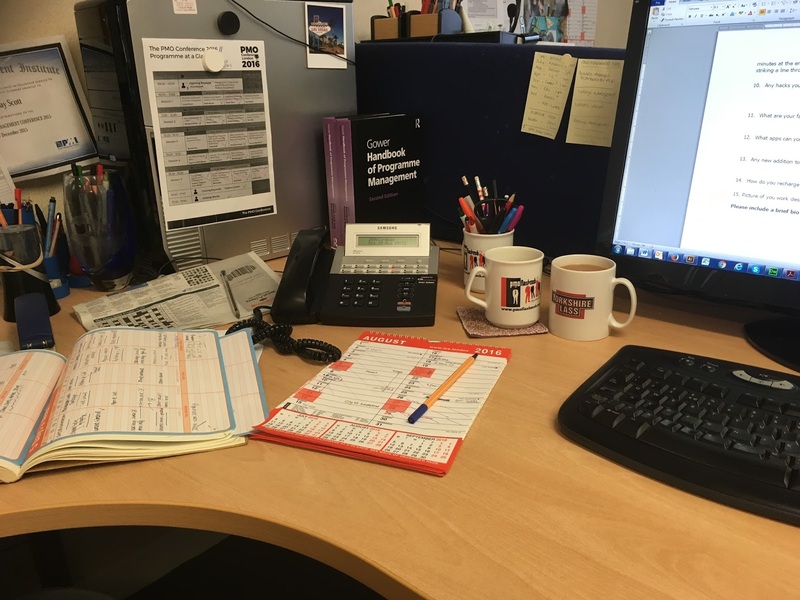 Three must have items in your desk. A cup of tea, lots of pencils and my day workbook. Nothing other than the general chatter of those around me at work or on the train. I’ve never been one for music or the radio playing in the background but can work well if there is. I just tune out. I’ve got about three books on the go at the moment. For fiction it’s The Watchmaker of Filigree Street, set in London, an intriguing read so far. For non-fiction but not work related its The Tale of the Dueling Neurosurgeons – I did a Psychology degree many years ago and still pick out books related to that. I’m also dipping in and out of The small BIG: Small Changes that Spark Big Influence. A good interpersonal book for any project manager. I’m a big reader so tend to have books on the go on Kindle and the real thing! I tend to use the calendar a lot – Outlook Exchange so it works on every device I have. I’m also a sucker for a good old-fashioned list. I use a workbook – just a jotter from the stationery store and a “5 days a week” list. It’s standard stuff but I tend to list what needs to happen in the week on certain days then add in the activities I need to complete day by day. I often spend 5 minutes at the end of each work day updating the list, moving things around and doing that really satisfactory thing of striking a line through the things I’ve completed. Any hacks you prefer for work? Because I’m working in different places all the time I totally rely on Dropbox to keep everything filed and easily accessible. I can’t bear not being able to lay my hands on things when I need to, plus Dropbox is also great for managing my photos taken by phone which I use for blog articles. I use social media a lot for work too and I love reading and sharing great blogs. Dlvr is great for managing multiple social media accounts plus I love its Curator tool which allows me to save my favorite feeds, read blog articles and quickly share them across different platforms. Finally another great tool if you use a lot of imagery in your work is PicMonkey Although I use Adobe products a lot (Photoshop and Illustrator) you can’t beat Picmonkey for quick and easy image creation. What are your favorite gadgets? What apps can you not love without? Any new addition to your routines? I’m the queen of chilling out when I need to – or want to – I enjoy watching TV and movies – anything period drama wise and you’ve got me! Love reading of course and at a weekend I love visiting places. In England we have so much history on our doorsteps and under our noses that you just have to get out and explore. Recent weekends away have included the castle where Harry Potter was filmed and the Plague Village. If there is a magnificent garden to visit I’m also right there, and a chance to combine them with a city visit even better. The Real Jardín Botanico de Madrid was a recent visit. To read the last interview of this series, please click here.